The Appletree Family is currently comprised of 3 divisions... Appletree Creative for design, Appletree Print for printing & The Appletree Trust for helping children with special cases. All our divisions work seamlessly together to create a fantastic service with a charitable difference. Please scroll down the page to read a description on each of our divisions. The Appletree Family began as a small family business and has now developed into something quite special, the directors have never forgotten their roots and stayed true to why they started in the first place... to provide great customer service, create fantastic products and design work and help those in need... once established and profitable. Appletree Creative is a graphic & web design specialist whose design work speaks for itself. We have a team of dedicated and experienced designers and developers to undertake projects to a very high standard. 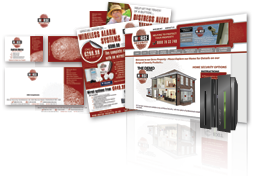 Based in Doddinghurst, Brentwood, Essex our team have provided graphic and web design solutions to Essex, London, Hertfordshire, Kent, Chelmsford, Basildon, Southend, Canvey and surrounding areas across the UK. If you are local then feel free to arrange an appointment to come and see us or if your not then we can handle your project via conference calls and email. Our graphic designers have been producing first class professional web site and graphic designs for over 10 years and are happy undertake a varied array of projects. We believe that customer satisfaction is key! We don't want you to pay for a design you are just "ok" with - we want you to be completely happy with the design and that's why we offer unlimited revisions until we get it right for you. We pride ourselves on being able to provide a wide variety of print solutions including full colour lithographic printing, lamination, Flexi-Print and much more, all with the guarantee of professional customer service and a quality finished product. We believe printing should be clear and straightforward which is why we created a site which is practical, easy to use, and packed with useful information and design tips to help you achieve the most out of your print project. We publish all our prices online, clearly stating where VAT is applicable and with FREE delivery to any mainland UK address included – so there are no nasty surprises at the checkout. The majority of our products are dispatched in only 3-5 working days so you won’t have to wait long to receive your item. Our friendly team have a vast knowledge in all aspects of design and print and will happily offer advice or answer any queries you may have. The Appletree Trust has been created to help change the lives of special children with disabilities, life threatening illnesses or those that just haven't been dealt the best cards in life. With your help we can really make a difference and transform lives, please read our website thoroughly for full details and show your support. Whilst many children's charities try to help as many children as possible with smaller donations - whether a laptop, new bike or something to cheer up their day. The Appletree Trust has been created to make a real difference to children's lives by giving a larger donation to less children, so we can really make a difference to their future. Through the dedication of our team 100% (plus an additional 25% if you Gift Aid) of every penny you donate goes directly to the child we are raising for at the time, so you know exactly where your money is going and who you are helping.